Hermon Dog Park is an off-leash park adjacent to the historic Arroyo Seco of Northeast Los Angeles. The dog park is supported by the Friends of Hermon Dog Park, a 501(c)3 non-profit organization comprised entirely of volunteers and dependent on donations. The park has two fenced areas, one for large dogs and one for small, elderly and disabled dogs. Facilities include a double-gated entrance, trees, benches, and water dispensers for the dogs. The surface is decomposed granite, for mud free, easy clean up. Biodegradable doggie waste bags are available in dispensers. Hermon Dog Park is open every day from dawn until dusk. Find current information on our FaceBook Page. 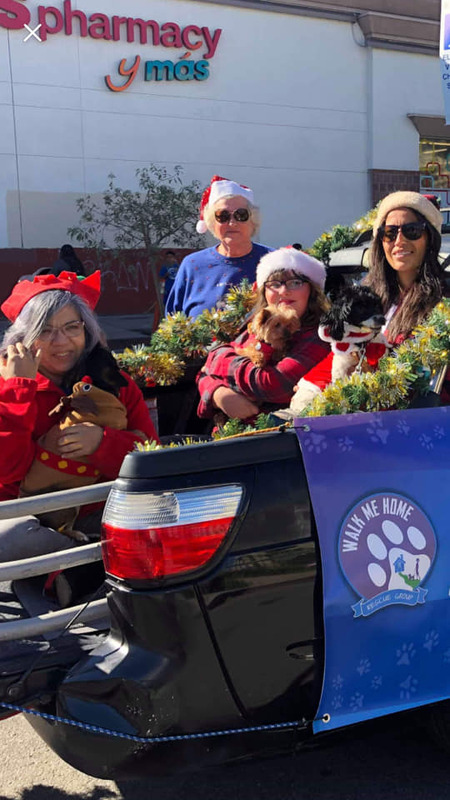 This year, Walk Me Home Rescue Group joined the Friends of Hermon Dog Park as the Santa Paws Squad in the Northeast Los Angeles Holiday Parade. Los Angeles, April 10, 2017 – Recently, LA County Veterinary Public Health reported the presence of multiple dogs imported from Asia by a Rescue group infected with Canine Influenza (H3N2). All of the dogs are currently in quarantine and thus far, there have been no further reports of ongoing infections. Canine Influenza (H3N2) is a highly contagious upper respiratory viral disease in dogs (and can infect cats as well). The majority of infected dogs exhibit a cough that persists for 10 to 21 days despite treatment with antibiotics and cough suppressants. Affected dogs may have a soft, moist cough or a dry cough similar to that induced by kennel cough. Nasal and/or ocular discharge, sneezing, lethargy and anorexia may also be observed. Many dogs develop a purulent nasal discharge and fever (104-105 degrees Fahrenheit). A small percentage of infected dogs may develop a severe pneumonia and require extensive hospitalization. The virus is spread via coughing, barking and sneezing, as well as contaminated objects (kennel surfaces, food and water bowls, collars and leashes). The virus can remain alive and able to infect other animals on surfaces for up to 48 hours, on clothing for 24 hours, and on hands for 12 hours. Cats infected with H3N2 display signs of upper respiratory disease, including nasal discharge, congestion, malaise, lip smacking and excessive salivation. Not sharing equipment or toys between healthy and sick animals. Veterinary Public Health recommends that dogs that interact with other dogs should be vaccinated against canine influenza. Information about Los Angeles County cases of canine influenza H3N2 are available on LA Veterinary Public Health website and will be updated as reports are received: publichealth.lacounty.gov/vet/InfluenzaCanineH3N2.htm. Los Angeles, April 13, 2017 – As the Easter holiday approaches, LA Animal Services reminds the community that real rabbits, chicks and ducklings don’t always make the best gifts. Often these animals are sold illegally on the streets or in pet stores as tiny babies that are not strong enough to be adopted or are ill and many die soon after purchase leaving everyone heartbroken. Sticking with a stuffed toy bunny or chocolate candy rabbit in the Easter basket is the safer and more enjoyable option for your loved one. You can also take this opportunity to educate young children about rabbits and pet responsibility. When your family is ready to add a new family member, rabbits are affectionate and personable and they make wonderful companions for the person who will supply daily care and attention. A well cared for rabbit can live 12 to 15 years. 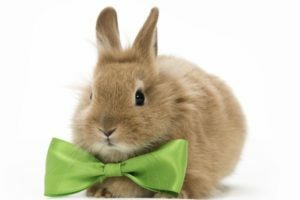 Los Angeles Animal Services has great rabbits at all six City animal shelters ready for adoption. They are spayed or neutered, microchipped and ready for a home of their own. Rabbits are crepuscular which means they are most active in the mornings and evenings. This is ideal for many work schedules since they sleep for most of the day and through the night. Rabbits are social creatures that do best in pairs. They’re curious, playful, can learn tricks and they enjoy having toys. If you’re considering keeping multiple bunnies, it’s best to pair a spayed female with a neutered male, or adopt an already bonded pair. If your rabbit is not spayed or neutered, it’s important to do so to prevent unwanted births. Spaying/neutering also can help decrease the chance of certain types of cancer, improve litter box habits, minimize excessive chewing and decrease territorial aggression. There are many vegetables that rabbits can have, and you may find yourself eating healthier as you shop for your rabbit’s food. A rabbit should never be left without food because of their complex digestive system. A healthy diet of Timothy hay and plenty of fresh vegetables, along with the vitamins provided in a small amount of daily pellets will help your bunny to live a long, healthy and happy life. Because your rabbit’s teeth grow continuously, it’s essential that you provide them with hard things to gnaw on to prevent their teeth from becoming too long. Certain types of wood, untreated wicker, apple twigs, toilet or paper towel rolls and cardboard boxes are some suggested items. You can find some great toys for rabbits that help promote chewing at your local pet store. Rabbits should be kept inside your home. Within your household, they will need a place of their own for security and quiet time even if they have free roam of the house. Cages are great to use to for those times when it is safer for them to be in an enclosure. Your rabbit’s enclosure should be large enough for them to hop around, a place for a litter box, a cardboard box to hide in, a hay box, a place to hang their water bottle and a place to stretch out. Rabbits are very clean animals and like their environments to be clean too. You should clean your rabbit’s cage every couple days – two to three times a week. Rabbits tend to use just one corner of their cage as their bathroom, so you’ll want to put a litter box in a corner in order to facilitate litter box training. You may want to put a litter box outside your rabbit’s cage, as well, for it to use when it has free run of the house. Los Angeles City Animal Shelters have a supply of spayed and neutered bunnies all year long so you can take your time making sure a rabbit is the right pet for your family. To view available adoptable rabbits, visit LAAnimalServices.com/adopt. ***RAIN OR SHINE*** Join us on Saturday, Feb 11 when Best Friends Animal Society presents a Community Pet Fair at Hermon Dog Park with discounted pet adoption, microchipping and vaccinations, free samples, pet services info and more. 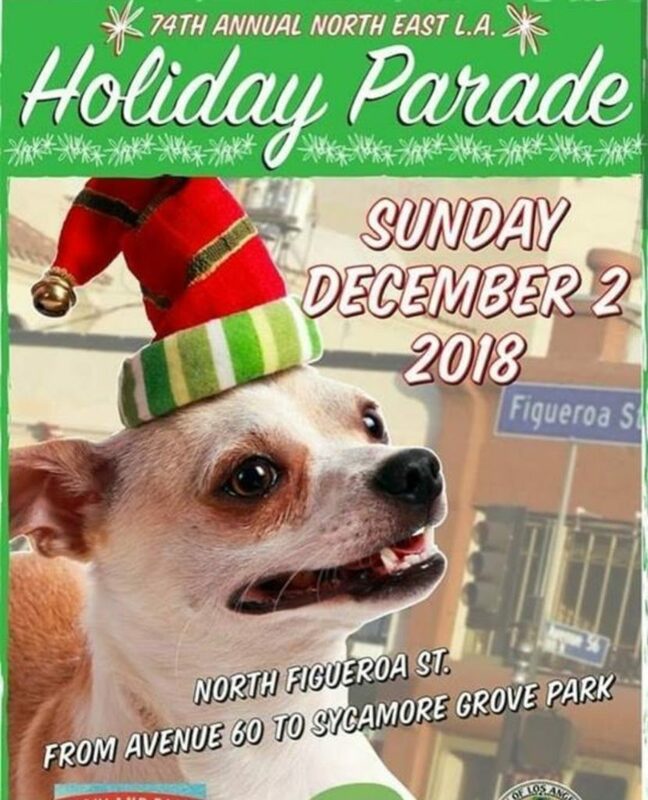 BRING YOUR PETS! FREE ADMISSION! 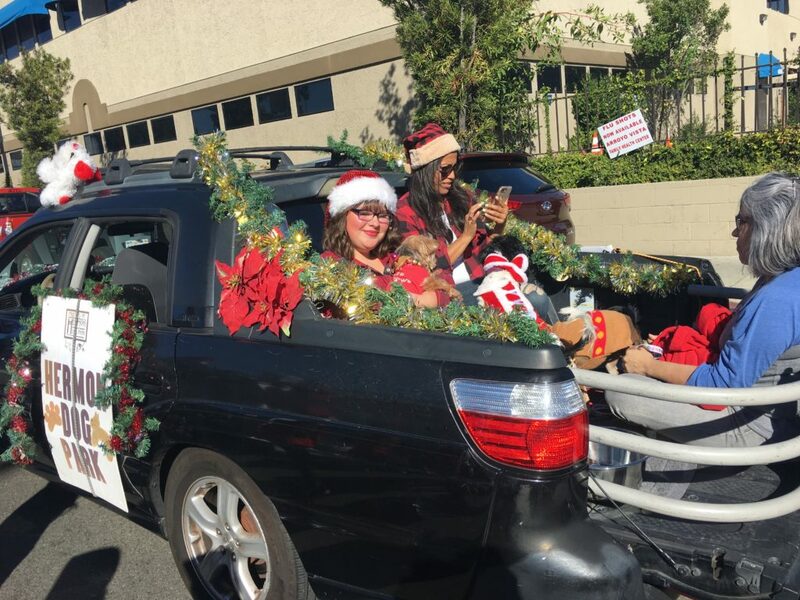 WHERE: 5568 Via Marisol (go to the end of the parking lot past the tennis courts – just outside the dog park) For map and directions, click here. Councilmember Jose Huizar, Council District 14. What’s Happening at Hermon Dog Park? Sign up for our email newsletter, "TAILS...from Hermon Dog Park"
Friends of Hermon Dog Park supports adoption! Earn $$ for FHDP while shopping! Register with Ralphs and iGive.com and a portion of each purchase is donated to Friends of Hermon Dog Park! Find out more. Hermon Dog Park named #7 nationwide! Hermon Dog Park was named number 7 of the top 40 dog parks nationwide for 2010 by Dog Fancy Magazine! For more about America's Best Dog Parks, read the PR Newswire press release here. Read Spencer's story and find out how your dog can become a therapy dog. Copyright © 2018 - Friends of Hermon Dog Park, Inc.